Should certain Blue Box materials be managed through different systems? The Blue Box Program is one of Ontario’s most significant environmental achievements. It has increased residential recycling throughout the province, raised awareness about the importance of environmental stewardship and supported the creation of well-paying local jobs and economic growth. These successes have laid the groundwork for the province’s move toward a more circular economy and remain a source of pride among Ontarians. Still, challenges exist. 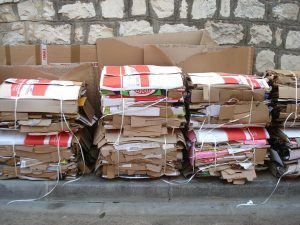 The Blue Box Program’s recycling rate has stalled in recent years and even declined in the last two, as costs continue to rise. Consider that between 2002 and 2014 costs jumped by 91% to $287 a tonne, up from $150 a tonne. That translates into a $100-million increase to operate the program over time. The situation doesn’t get that much better when you adjust the figures for inflation. York University Researcher Calvin Lakhan found in a recent study that the inflation-adjusted recycling costs between 2002 and 2014 rose by 63% to $221 a tonne, up from $135 a tonne. However, over the same time period, the amount of materials collected only increased by 13.5%. There has been a lot of finger pointing over these cost increases, but, so far, there’s been limited discussion about how to strengthen the program or assess whether it’s meeting its broader aims. The hope with the Blue Box Program, like any producer responsibility initiative, is that companies will make their packaging more reusable and more recyclable to keep costs low for their own operations and consumers. But that result hasn’t been achieved. There are now many new types of packaging flowing through material recovery facilities that are much more difficult and costly to process. In his study, Understanding how program costs and recovery have changed over time: What does the data really show when it comes to Ontario’s Blue Box Recycling Program?, Lakhan found that the inclusion of what he terms “non-core materials” in the Blue Box Program is creating “significant cost increases” despite only negligibly contributing to recycling rates. Based on the best available data, Lakhan shows that non-core items, such as cartons, plastic film, and styrofoam, increased the costs of operating the Blue Box Program by 29% in 2016 while only representing 3.5% of all recovered materials. By contrast, “core materials,” such as metals, certain plastics and paper, can be recovered more efficiently and at a lower cost within the Blue Box collection system. If non-core materials were excluded from the Blue Box, Lakhan found we’d have a much different picture. In fact, his findings show the inflation-adjusted Blue Box costs would be reduced by 22% to $171 a tonne and the program would achieve a recycling rate of 81%, as opposed to the current rate of about 65%. Solving these challenges will only happen through constructive collaboration and forums, such as the Circular Economy Innovation Lab (CEIL). With its Printed Paper and Packaging Rapid Lab, CEIL has brought together producers, government and services providers to develop solutions with the aim of establishing a circular economy for printed paper and packaging in Ontario. CEIL’s collaborative platform allows for the type of environment we need to have a frank, open discussion on the tough, but necessary questions about the program and the contents of the Blue Box. This conversation must explore how to better manage materials that are difficult and costly to sort and process. It should assess whether certain materials, such as non-core items, should be collected, sorted and processed through a different system. And it must consider ways to incentivize companies to more effectively process and market materials. We should all be willing to tackle these topics because there’s really no better opportunity to do so than now. With the proclamation of the Resource Recovery and Circular Economy Act and work underway on developing new regulations to make producers assume full responsibility for printed paper and packaging, we now have the chance to strengthen the Blue Box collection system and ensure it delivers optimal economic and environmental results while advancing Ontario toward a more circular economy. The article ‘Defining the Future of Ontario’s Blue Box’ was written by Peter Hargreave. 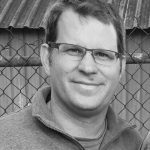 Peter is Director of Policy and Strategy with the Ontario Waste Management Association (OWMA) and a member of CEIL’s Technical Advisory Committee.